ProSolutions Training offers South Carolina child care professionals online CDA coursework and more than 100 individual courses in early childhood education and human services. Most online child care training courses are also offered in Spanish. Our child care training coursework is skills-based and encourages South Carolina child care professionals to reflect on individual teaching or professional style and transfer knowledge to daily work. ProSolutions Training's professional development courses meet the South Carolina Department of Social Services (SC DSS) annual training hours requirement. For a list of ProSolutions Training Courses correlating to South Carolina topic areas, please review approved child care courses in South Carolina. After successful completion of a course, please download the Online/Correspondence Coursework Form from the Center for Child Care Career Development website and send to CCCCD with a copy of your certificate of completion. If participants have uncertainty about a particular topic area of a course, contact the Center for Child Care Career Development office prior to taking a course at 866-845-1555 (toll free). Click the button below to view the online child care courses and training available in South Carolina. Learn more about earning your South Carolina CDA and South Carolina CDA Renewals. ProSolutions Training offers South Carolina professionals a number of courses approved by the National Association of Social Workers (NASW) for CE credit. NASW is the largest membership organization of	professional social workers in the world. NASW has approval from more than 38 state licensure boards without restriction. Providers and participants are responsible for following	states' rules and regulations regarding licensure. South Carolina Child Care Training Group subscriptions are a great way to train and retain early childhood educators. The Group Subscription allows your child care staff to choose from more than 100 courses developed specifically for early childhood education professionals by curriculum experts. The child care facility director or administrator manages the account access and can add and remove staff as needed. It's simple to assign courses to your team as needed. The South Carolina Child Care Training Individual Subscription is the perfect online early childhood education solution for individuals. This subscription gives access to more than 100 online training courses developed by curriculum experts at ProSolutions Training. Print individual Professional Development Certificates as each course is completed. This is the most economical online child care training option for individuals. 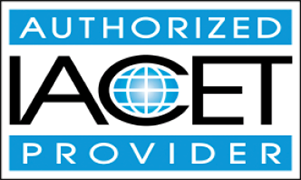 ProSolutions Training has been accredited as an Authorized Provider by the International Association for Continuing Education and Training (IACET) in South Carolina. ProSolutions Training coursework adheres to the highest standards set by IACET. ProSolutions Training includes	CEUs at no extra charge with every Professional Development Certificate. You can locate information on South Carolina's Professional Development Registry at South Carolina Center for Child Care Career Development - http://www.sc-ccccd.net/Training/RegisteredVsCertified.html. The Center for Child Care Career Development (CCCCD) has as its mission the improvement of the quality of child care for the families of South Carolina through the professional development of the child care providers. You can locate information about South Carolina's Quality Rating and Improvement System at SC Child Care Services.